We know from the depth of time, that Celts built a small town in 6th century BC. A few centuries have gone, and the Romans annexed this settlement and renamed it to Mediolanum. Thanks to its strategic location the city grew rapidly and all the questions of business and power were issued here. At 395, an Emperor, Honorius, decided to make Milan a capital. However, when aggressors came in 402, the authorities decided that Ravenna would be a better place for the capital, and then Milan was in run-down. The following period was unhappy to the city: it was captured by the barbarians and completely looted and demolished. Restoration began after the arrival of the Frankish Empire in the 8th century. The archbishops of Milan came to power and in 1045 Milan thanks to them becomes a free commune. Then it gradually expanding its sphere of influence and attaches itself to other commune - Como and Linear Ordinary Differential Equations. The Roman Emperor Frederick I Barbarossa did not like it and captured and ruined Milan in 1162. But in response to this, in 1167 a Lombard League of cities was created. A few cities together had beaten the troops of the emperor near Legnano in 1176. When it happened, Milan achieved plenty of privileges. 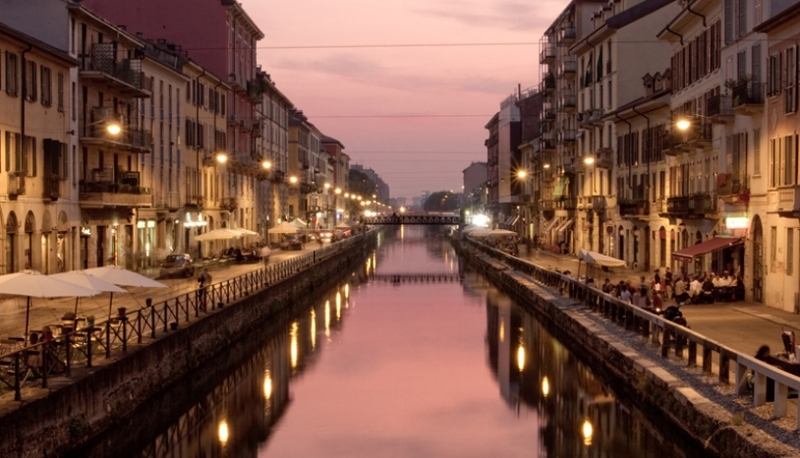 During the times of the Sforza Milan celebrated the industrial and economic rehabilitation. Fortunately the «Black Death", which took away thousands of lives in Europe, did not enter Lombardy side. At the age of Renaissance, Leonardo da Vinci and Donato Bramante lived and worked in Milan. But in the early 16th century France and Spain started a great fight with Milan as a prize. As a result, when the last Sforza, Francesco Maria II, died, the Spanish Habsburg dynasty took Milan to their control. They ruled here for 2 centuries. And these times were devastating for Milam’s different spheres of life. A Cisalpine Republic was established then, with Napoleon in head. He made Milan its capital. In 1799, the city was temporarily captured from the French. The Russian commander Suvorov took it for some time, but soon Napoleon brought it back. Later Cisalpine Republic was renamed to the Republic of Italy, and in 1805 it became the Kingdom of Italy. The whole time of World War II, this gorgeous city was under the Nazi power. The Italian Social Republic of Mussolini was right close to Milan. The dictator was executed by partisans in 1945. The consequences of the war for the city became dire. As a result, numerous Allied bombing at the time of release of April 25, 1945 it was heavily damaged. The restoration of the city had gone for many years. But Milan held the positions of one of the most important cities in Italy and the growth of industry and the economy went rapidly. 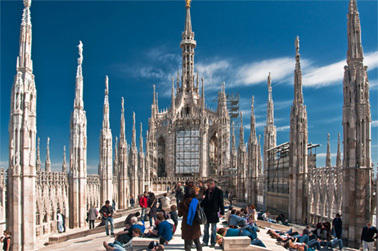 Nowadays we know Milan as a beautiful place of fashion, football, history and business.